4 Bedroom Detached House For Sale in Bedfordshire for £445,950. Plot 461 is located on a quiet cul de sac. -Commutabe to London in 30 mins!! 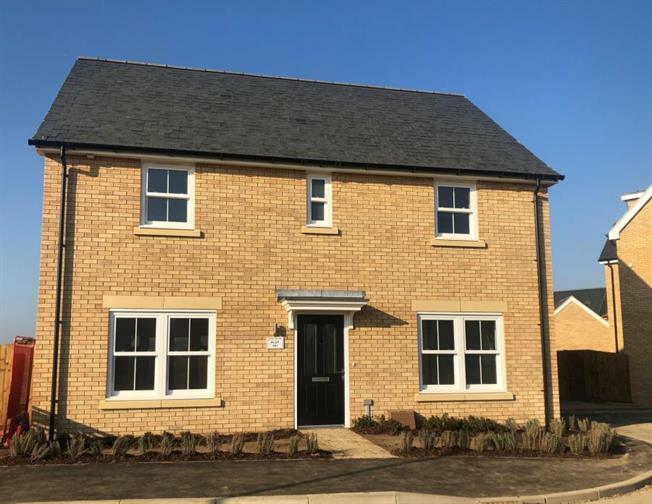 The Linton is a stunning four bedroom detached property set on this thriving development in Biggleswade it benefits from open plan kitchen/living/dining room - the hub of family life. Seperate through lounge with french doors inot the garden. Master Bedroom with Ensuite and wardrobes and 3 good sized bedrooms. The new and vibrant community of Penrose Park lays just 30 minutes away from London. This desirable development from award winning house-builder Martin Grant Homes, not only combines quality homes and inspiring location, but is perfectly positioned for easy access to Cambridge, Stevenage and London. So whether you're looking for the ideal place to bring up a family or you're a commuting professional, Penrose Park has everything to offer right on your doorstep. STAMP PAID Subject to terms and conditions. Owner occupier only. Incentives subject to plot number.